← Flow (The Oxford papers) Part 1: What’s in a name? Here is a statement of my own, about Jacopo Peri’s Preface to his setting of Euridice (1600), the earliest surviving secular ‘opera’. I reduced the Preface to its essential point, so that the process of reading should not need (in a kind of way) to ‘plough through’ every sentence. That’s the principle of a summary, whereas the complete Preface naturally requires detailed examination. I am discussing a summary. There are differences between a summary and the complete Preface. I made the summary by reducing the Preface to its essential argument. The idea is to avoid ‘ploughing’ by means of the reduction of the Preface. Normally, with the complete Preface, the attentive reader will indeed ‘plough through’ every sentence. Even in a summary, readers will follow me, though they don’t ‘plough through’. I reduced the Bass to its essential pulse, so that the course of speaking should not seem (in a kind of way) to ‘dance’ to the movement of the Bass. That’s the principle for sad or serious material, whereas happier texts naturally require more movement in the Bass. Peri is discussing music for sad or serious texts. There are differences between sad or serious material, and happier texts. Peri made his serious music by reducing the Bass to its essential pulse. The idea is to remove ‘dancing’ by means of the reduction of the Bass. Normally, in happier texts, stylish singing will indeed ‘dance’ to the movement of the Bass. Even in sad or serious material, singers will follow the Bass, though they don’t ‘dance’. Peri’s Preface has often been misunderstood as an appeal for ‘rhythmic liberty’, and its most famous statement mis-interpreted as ‘singers should not follow the Bass’. Those frequently repeated distortions fit comfortably with the 20th-century notion of rubato and free rhythm as the epitome of expressiveness, and with the modern convention that accompanists must follow the soloist. But period sources from Agazzari to CPE Bach and Leopold Mozart insist that the Bass lays down the Tactus, and that soloists follow this essential pulse (just as in today’s jazz). Sometimes the singing ‘dances’, sometimes it is sad or serious, but it always has the essential pulse of Tactus, led by the Bass. Before the year 1800, soloists follow the accompaniment, because accompanists have particular responsibility for maintaining the Tactus. Meanwhile, the ‘liberties’ Peri asks for are not to do with rhythm, but relate to musical ‘grammar’ – the rules of dissonance, l’uso delle false. When he does talk about rhythm, he draws attention to the great variety of note values he employs, linked to the emotions of the text. Contrasts in note-values would be destroyed, if there was no underlying pulse to structure all that variety: indeed such destruction of notated contrasts is just what happens in many modern ‘free’ performances of early 17th-century monody. There is a regular Tactus pulse. You can read more about Tactus here. And you can read about how Tactus structured early 17th-century music here. One last observation: Peri never uses the word ‘recitative’. His topic is nuova maniera di canto (a new kind of song, a new way of singing) for Musica su le scene (Theatrical Music). And he refers to even the most poignant speeches of Orpheus, of the lamenting shepherd Arcetro and of Dafne (the Messaggiera) as arie. The word aria in this period does not necessarily mean a ‘tuneful melody’, but rather refers to elements of repeated structure, for example a ground bass, or any repeated rhythmic fragment. Peri’s complete text with my translation and commentary are below. And may you live happily! The original Italian text is here, along with the music of Euridice (mostly by Peri himself, but with some items contributed by Caccini). 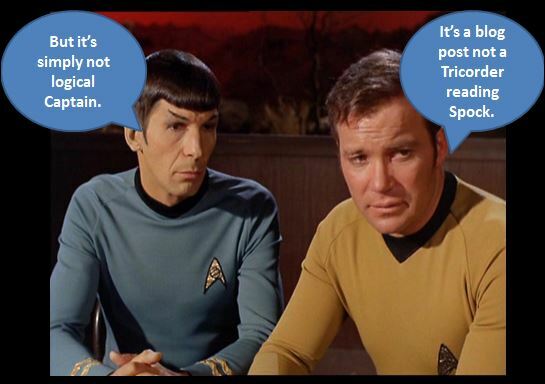 Editorial procedure: I have tried to stay close to Peri’s word-order, and to use English cognates whenever possible, to help the reader follow the Italian text in parallel. Any serious discussion of this key text has to be made using the original Italian text, since translation (and the specific 17th-century meaning) of Peri’s terms is inevitably open to question. Before I offer you, dear Readers, this Music of mine, I think I ought to bring to your attention to what has led me to invent this new manner of song, for in all human operations, reason should be the beginning and source; And he who cannot show reason easily leads one to believe that he worked by chance. Peri offers a Scholastic defence for the Humanist project of creating a new kind of music. Ritrovare, which I have translated as ‘invent’, also means ‘to find out again, or to retrieve’ (Florio Dictionarie of the Italian and English tongues. London, 1611). Although Peri’s ‘manner of song; is ‘new’, the artistic endeavour was to re-discover Ancient music. This suggests interesting comparisons to today’s Early Music! Although by Signor Emilio del Cavaliere, before any other that I know, with marvellous invention our Music was made to be heard on the Stage; nevertheless it pleased Signori Jacopo Corsi and Ottavio Rinuccini (at the end of the year 1594), that I should apply it [our music] in another guise, setting to notes the fable of Dafne, written by Signor Ottavio, to make a simple test of what singing could do in our era. Peri properly acknowledges Cavalieri’s achievements, and presents his own previous experience. 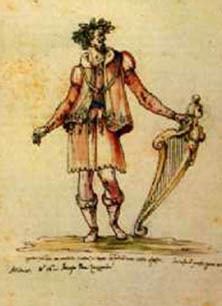 Corsi was a patron of ‘early opera’, Rinuccini one of the greatest libretto poets. Caccini is not mentioned, in spite of his strong claims to have invented the new style himself, but Peri quietly positions his 1594 Dafne well in advance of the rival settings of Euridice and Caccini’s Le Nuove Musiche (1601/2). Peri’s Euridice, which includes some music by Caccini, was the first to be performed, but Caccini rushed his own complete setting into print before Peri’s was published. From this it is seen that we were dealing with dramatic poetry, but if one should imitate in song how one speaks (and without doubt, no one ever actually spoke by singing), I esteem that the ancient Greeks and Romans (who according to the opinion of many sang entire Tragedies on the Stage) used a musical style, which going beyond that of ordinary speaking, descended so much from the melody of singing, that it took the form of something intermediate; And this is the reason by which we see in this Poetry there is a place for the Iambic, which is not exalted like the Hexameter, but merely is said to advance beyond the confines of everyday discourse. There was no difficulty in setting to music diegetic songs and dances (theatrical scenes which represented the characters making music) and it was accepted as a convention that Prolouges, Choruses, Gods and similar other-worldly figures might sing. The question Peri grapples with here is the theatrical representation of speech. In the Platonic tradition, imitare implies also ‘artistic expression or representation’. Peri admits that people don’t normally sing when they speak, and looks to Ancient Greece and Rome for an intermediate form, something between speech and song. He compares this to blank verse, which is intermediate between prose and poetry..
Armonia can mean ‘harmony’, but often has a wider meaning as any kind of musical organisation, especially rhythmic, as well as melody: here, I translate it as ‘musical style’, for Peri is concerned with the melodic and rhythmic patterns of speech. Peri’s ‘something intermediate’ reminds us of Caccini’s sprezzatura, a nonchalant, ‘cool’ voice-production, something between singing and normal speech. Contrary to received opinion. Caccini’s sprezzatura is NOT rhythmic freedom. Read what Caccini actually wrote, here. And so, having rejected any other manner of song heard until now, I devoted myself totally to researching the representation needed for these Poems; and I consider that the sort of tones, which the Ancients assigned to singing, and which they called Diastematica (as if drawn out and suspended) could sometimes be taken faster, and take a moderate course between the movements of song (slow and suspended) and speech (speedy and fast), & be adapted to my proposition (as they [the Ancients] also adapted it [Diastematica] when reading Poetry and Epic verses) to approach that other [sort of tone] of speaking, which they called Continuous; This is what our modern people (although perhaps for another end) have already done in their music. ‘Researching’ translates Peri’s ricercare, which – like ritrovare – carries also the suggestion of rediscovering or searching again. The word reminds us of abstract polyphonic music designated ricercar, recalling the concept – of music being ‘found’ rather than invented – at the root of the word Troubador. ‘Tones’ translates Peri’s voci: his word takes oin the concepts of ‘voice’, ‘note’, ‘syllable’, ‘vowel’. Again, Peri proposes something ‘intermediate’ between slow singing and fast speech: he also suggests that that the syllable speed would vary. He makes a parallel with different ways of reading lyric and epic verse. Around 1600, it was already customary, even in polyphonic music, to set text to varied note-values. Peri takes his inspiration from the sustained syllables of declamatory speech, for which a musical pitch can be assigned, and/or a harmonious accompaniment created. Again, the word ‘tones’ should be read to include also the concepts of ‘the voice’, ‘syllables’ and ‘vowels’. The word accenti carries the meanings of ‘expressive words’ and ‘expressive notes’: in this period it also means a particular expressive ornament. Armonia can mean the pitch of the sung note, or a harmony in the accompaniment. Peri constructs a bass-line according to the musical requirements of varying emotions .Those emotions dictate the rhythm of the bass, which moves ‘sometimes more, sometimes less’. Sometimes he keeps the bass fixed in spite of some dissonances in the voice-part. After many quick, light, ‘unpitched’ syllables, the bass plays a new harmony with the next sustained, pitched syllable. Peri’s word corde, ‘strings’ implies the notes played by the continuo-bass. The bass should not play too often, because this would disrupt the proper course of speech. Here I think Peri refers to the pitch-level of the ‘course of speaking’ which would ‘stumble’ upon the dissonances created with an unchanging bass-note, if that note were repeated. It is significant that he associates the continuo-bass with the plucked string of a theorbo, harpsichord or harp (bowed strings and organ can sustain, they would not need to repeat their notes). Nevertheless, the word corda can also refer to a note played on the organ. This first sub-clause refers to problems of harmony, rather than rhythm. In the next sub-clause, Peri turns to the question of rhythm. His famous, and oft-quoted phrase that the course of speech should not ‘dance’ to the movement of the Bass needs to be read very closely. The implication is that the singer does follow the bass, and even ‘dances’ in other, happier, music. The singer still follows the bass in ‘sad and serious’ music, but the bass moves less and the singer does not ‘dance’. It is precisely because the singer expects to follow the bass that Peri has to reduce the amount of activity in that bass for ‘sad or serious’ music. The effect of ‘dancing’ is avoided, if the singer only has to coincide with the bass on those significant syllables that are properly pitched and accompanied with a new harmony, and when the bass only moves in long notes, i.e. at the Tactus level of minims and semibreves. In happy music, the bass is more active, the Tactus pulse is rhythmically sub-divided, leading to the effect of ‘dancing’. But also, because the [correct] use of dissonances would either reduce or cover up the advantage we gain from the necessity of pitching every note, which perhaps the ancient Music did not need to do. Peri’s phrase uso delle false carries the meaning of ‘the correct procedures of dissonance’. Peri knows that his proposed infrequent movement of the bass is contrary to the normal rules of counterpoint. Since, in the voice part, he has to set even light & quick syllables to some specific note, there are passing dissonances between voice and bass that are not properly prepared and resolved. He wonders if ‘ancient music’ didn’t actually pitch every single note! But (although I do not dare to assert this to have been the song used in Greek and Roman fables), so I believe it to be the only [song] that can be given from our Music to accommodate to our speech. The ‘freedom Peri asks for in his speech-like music is the freedom to ignore the normal rules of counterpoint. The syllabic speed is intermediate between normal speech (which is faster) and normal singing (which is slower). This is exactly what results, if one performs the ‘new style’ music with a consistent Tactus at approximately minim = 60. Many modern performances are too slow, too ‘sung’. Most modern performances are fully sung: it is hard to re-create this voice production, but try lightening up the unaccented syllables, maintaining the Tactus, and not singing too loud! The early operas were sung softly, compared to contemporary church music. The coordination with the bass is intermediate between normal speech (which has no Tactus) and normal singing (which might even ‘dance’ to the bass-line’s subdivision of the Tactus). Peri’s ‘reduced’ bass typically moves in semibreves and minims, corresponding to Tactus and semi-Tactus. So in ‘sad or serious’ music the singer fits ‘the course of speech’ within the framework of steady Tactus, in happy music, the singer ‘dances’ to the more active movement of the Bass. Peri describes a kind of music in which the bass moves infrequently, whilst the voice sustains significant syllables, and then passes lightly and rapidly over several less important syllables. We see this kind of music in his setting of Euridice, which follows this Preface. Today, we call this Recitative, but Peri does not use the words recitativo or musica recitativa. According to the anonymous (c1630) MS, Il Corago, what we nowadays call ‘Recitative’ was known as modulazione, and music with any kind of repeating structure (rhythmic, harmonic or melodic) was called aria. Musica recitativa meant ‘dramatic music’ and it included both modulazione and aria. Recitare meant ‘to act’, whether in spoken drama, music-theatre, or even silent pantomime. These differences in historical nomenclature remind us that we cannot apply our modern assumptions about ‘Recitative’, nor performance practice for 18th-century recitative, to Peri’s theatrical music. There is nothing to suggest that Peri’s ‘sad or serious’ music was rhythmically free. Rather, it is built on the foundation (Peri’s word is fondare) of a slow-moving bass, whereas happy music ‘dances’ to a fast-moving bass. Having explained how he composed his modulazione, in the second part of the Preface Peri discusses how it was performed. I’ll translate and comment on that in another post. 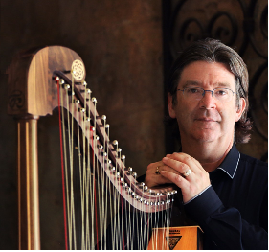 Opera, orchestra, vocal & ensemble director and early harpist, Andrew Lawrence-King is director of The Harp Consort and of Il Corago. From 2010 to 2o15 he was Senior Visiting Research Fellow at the Australian Research Council Centre for the History of Emotions.